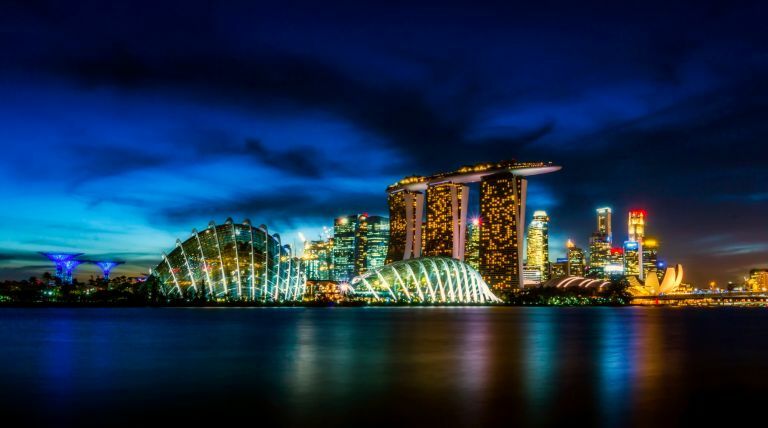 Singapore has fast become one of the most popular holiday destinations in South East Asia. This city, just off of Southern Malaysia, is home to a bustling city, Buddhist temples, and delicious food; with something for everyone from backpackers to business travellers. As well as modern architecture, this island/city has beautiful greenery and plenty of things to do for families, adventure-seekers, foodies and fashionistas. It’s clean and extremely organised, making it easy to get around and see everything. Despite it’s fantastic transport links, there are different areas you can stay in depending on your reason for travelling. If you like to travel off the beaten track, then Katong will give you a local authentic experience, whereas business travellers and those who like to shop should stay in the Marina Bay or Orchard districts. Sentosa will give you the coastal air and out-of-city experience and places like Chinatown will guarantee traditional cuisine. The Swissotel Stamford is one of Singapore’s tallest hotels, with a rooftop bar which offers stunning panoramic views of the city. Families will be in the prime location to enjoy everything the city has to offer, including restaurants, shops and sights. Plus, the facilities in the hotel will keep everyone busy even on the rainiest of days; enjoy a spa, 2 swimming pools, 6 tennis courts and a huge fitness centre, as well as spacious and modern family rooms with TV’s DVD players and Bose sound systems. Guests said staff were incredibly friendly and welcoming to families, and are more than happy to advise you on where to go in the area. Definitely the place to be to take in everything Singapore has to offer. Hotel Jen Orchardgetaway’s glass exterior is impressive in itself, but when you step inside, it’s a little slice of heaven in the heart of Singapore. You can experience the hustle and bustle of the city, and then escape to the oasis which is the rooftop infinity pool, where there are the most stunning views of the city lights at night. This hotel is sophisticated and romantic, making it the perfect place for a couples getaway, and the neighbourhood is said to be exceptionally clean, smart and full of fantastic shopping, dining and nightlife. Rooms are relaxed and modest, with large windows and comfy beds. Wi-Fi comes as standard throughout the hotel and their restaurant offers traditional Singaporean cuisine in a buffet-style dinner which allows you to really spice things up if you fancy it. The Naumi is a great hotel to escape and unwind in after a long day of sightseeing. Still in the heart of the city, you’ll be close to many areas including the financial district and Clarke Quay, with lots of transport options available. The rooftop with infinity pool oozes pure luxury where you can get those Insta-worthy pictures as the sun goes down, before going to sleep in a room with comfy beds and chic furnishings. Stocked up with Nespresso coffee and a bathroom full of organic toiletries, the rooms are definitely worth it for that home-away-from-home feeling. This unique hotel offers a touch of nature in amongst the modern concrete jungle. The building is intertwined with greenery, offering a garden within the hotel for park walks that offer a stunning view of Singapore. Escape the hustle and bustle in the wellness centre, where you can enjoy the spa, gym and a beautiful infinity pool. Rooms a bright and spacious, but come with black-out blinds so you can really shut off from civilisation and recharge after exploring everything Singapore has to offer. Wi-Fi is available throughout the hotel, as well as cable TV in the rooms for those who don’t want to switch off completely. You’ll get the best of both worlds when you stay at the Fullerton. In the heart of the financial district and overlooking the marina; this hotel offers a place to relax and really take in the Singapore lifestyle. Relax in the spa, and if you book a treatment you’ll even get access to a complimentary limousine ride to make you feel really important. Business traveller like staying here; with a contemporary cocktail bar for evening drinks and free yoga classes for when you need to unwind. All rooms are kitted out with Nespresso machines, and once again the hotel is home to an infinity pool with stunning scenic views that just cannot be beaten. Solo travellers, backpackers, or anyone looking to experience the local side of Singapore will find this hotel the perfect base for their stay. The rooms are simple yet comfortable, with heritage-inspired decor which will really make you feel you’re a part of the culture. The hotel is a little far out, but it’s a great place for getting off the beaten track and exploring more traditional areas of Singapore. You’ll still have all the amenities like an infinity pool and bar, as well as fully-stocked bathrooms and mini-bar. For those days you want to relax, the beach isn’t too far by taxi, either. Marina Bay Sands is the place to be if you want to experience pure luxury. Whether it’s your honeymoon or well-deserved getaway, this resort has everything you’ll need to feel like royalty during your stay. It offers the world’s largest infinity pool, unbeatable views and rooms with floor-to-ceiling windows, and an observation deck for taking in the panoramic skyline. Foodies won’t be short on choice with over 20 different dining options all under one roof, and the Banyan Tree Spa is renowned for its luxury treatments. Staff are on hand 24/7 and said to be exceptional when it comes to local advice, arranging transport and things to do. Rooms come with robes, slippers, and authentic jasmine tea so you can really unwind. Looking for some more travel inspiration?